Max Fashion is a retail company that is part of the Landmark Group based in Dubai. Max Fashion is headquartered in Dubai and has a total of 325 stores across 16 countries. Only 30% of a retailer’s marketing budget is dedicated to online media. The other 70% is spent on classic channels like TV, outdoor, print etc. where advertisers can’t measure direct impact on sales. That’s why Facebook introduced a new product called Offline Conversion API which allows retailers to measure offline revenue that is derived from online advertising. Max Fashion, a value fashion retailer in the Middle East and part of Landmark, wanted to prove that their online activities resulted in actual offline implications. This would also open the door to finally being able to compare offline marketing efforts against online campaigns to see which yields the best results. Max Fashion used data from Shukran, Landmark’s customer loyalty program. They then partnered with Facebook Marketing Partner, ROI Hunter, who helped them to set up and hash the data to protect user information. ROI Hunter used a universal data connector to process Max Fashion data to Facebook. Max Fashion could see the results in the ROI Hunter omnichannel, using it to evaluate and optimize the campaign’s performance. As with anything, we had to take the solution out for a test drive first. We launched a campaign that gave coupons to users. This way, we could make sure that those who came to the store to buy actually saw and interacted with our ads. Their customers prefer to purchase offline but for the first time in this region, marketers will be able to find out which campaigns work and which should be trashed. Know your impact: For the first time, you can measure the impact Facebook ads are having on offline sales, something that is not readily possible with other advertising channels. Optimize Spending: Advertising doesn’t have to be a black box. 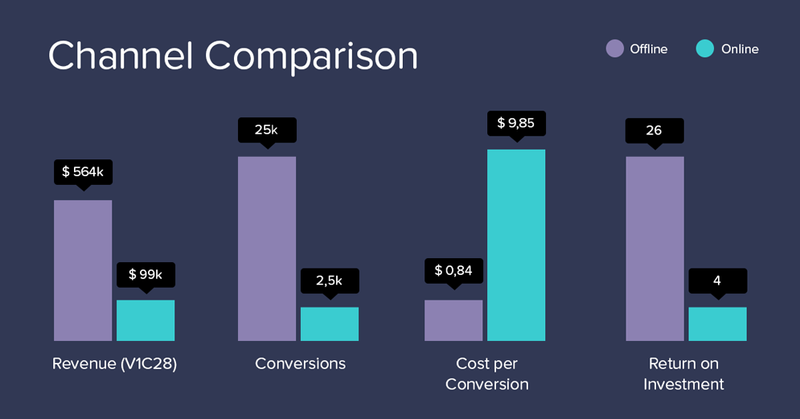 If a campaign yields a better ROI, optimize and improve it. If it doesn’t, scrap it and put together a better one. Automate your data: Our hunters were able to build a bridge between Max Fashion’s FTP and Facebook Ads. The result? Easier and faster scaling of campaigns. Protect user information: Privacy is a big deal. We know. Our Solution Engineers were able to hash the data of users from Shukran in order to maintain their privacy and keep their trust. Prove ROI: Now you can show how well you have performed in detail. If this solution seems right for you, contact your client partner if you have an account with us or Get Started. "Max Fashion was able to see amazing results because they were willing to try something new and break ground. Now they can plan campaigns that will help them to track conversion in their brick-and-mortar store."